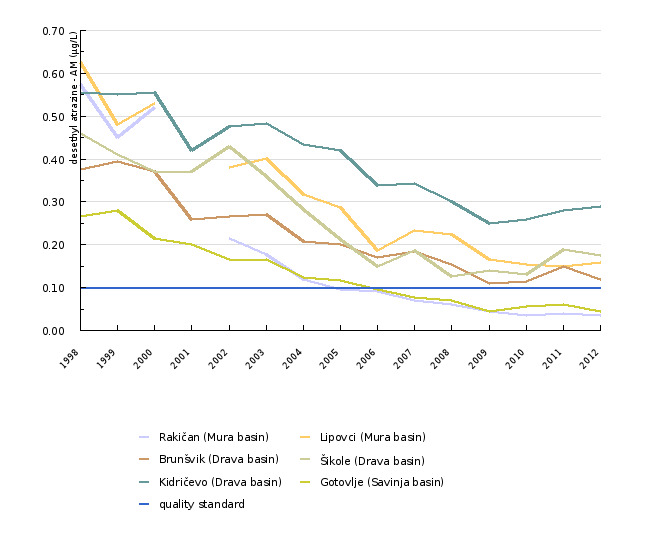 The levels of pesticides in groundwater have been decreasing. 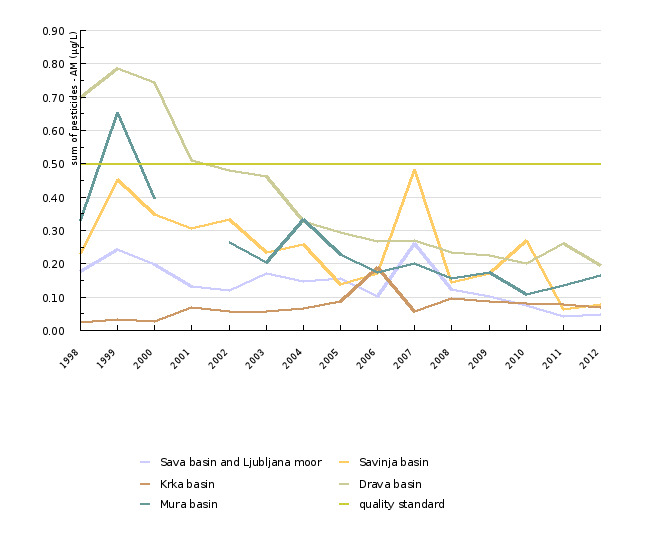 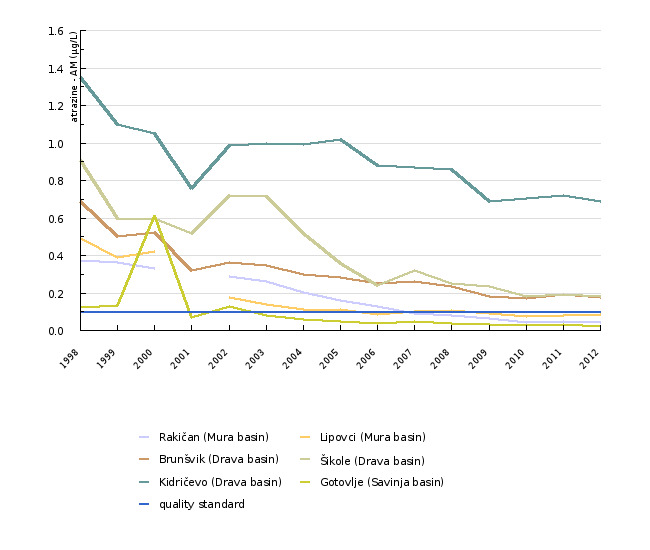 In the flat lands of Slovenia (the basins of the Drava and Mura rivers), for which intensive agricultural activities are typical, these levels are still exceeding the quality standards. 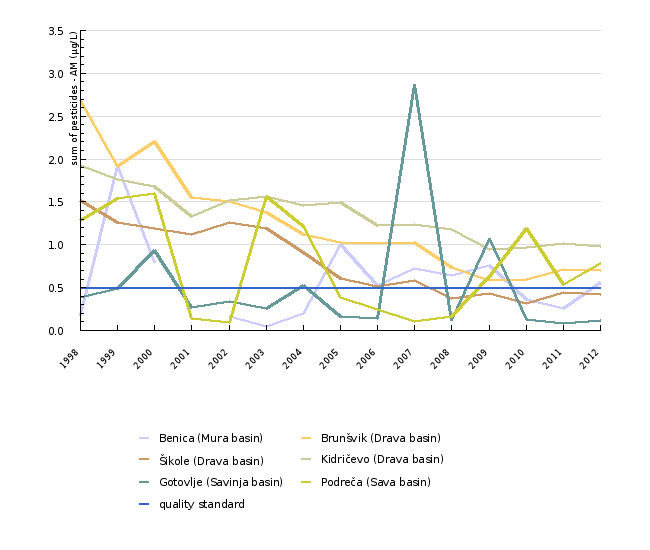 Individual point sources of pollution can be a result of the unskilled use of plant protection products.